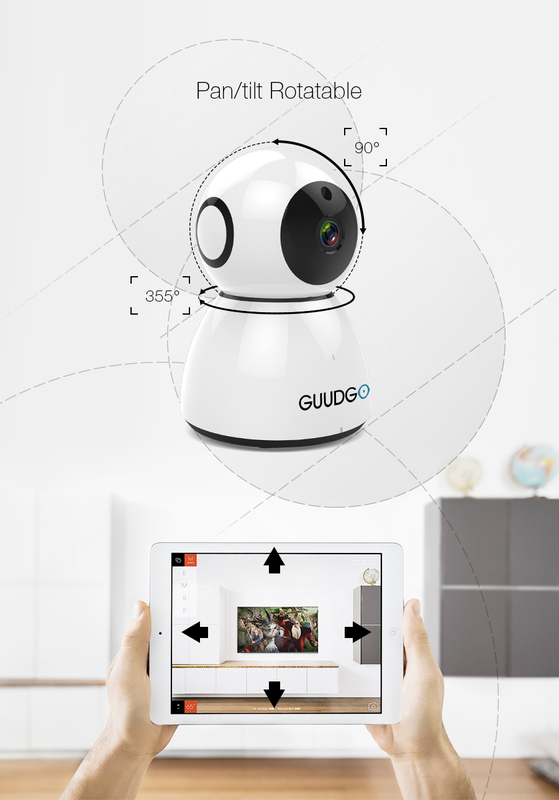 1080P High-Definition, 120° Wide-Angle Advanced Glass Lens: 1080P Color Sensor 1/2.7 CMOS 2Megapixel provide you with the best image & video recording quality, 500W 120 Wide Angle view Advanced glass lens combined with 355° horizontal & 55° vertical rotation range create a complete 360° coverage. 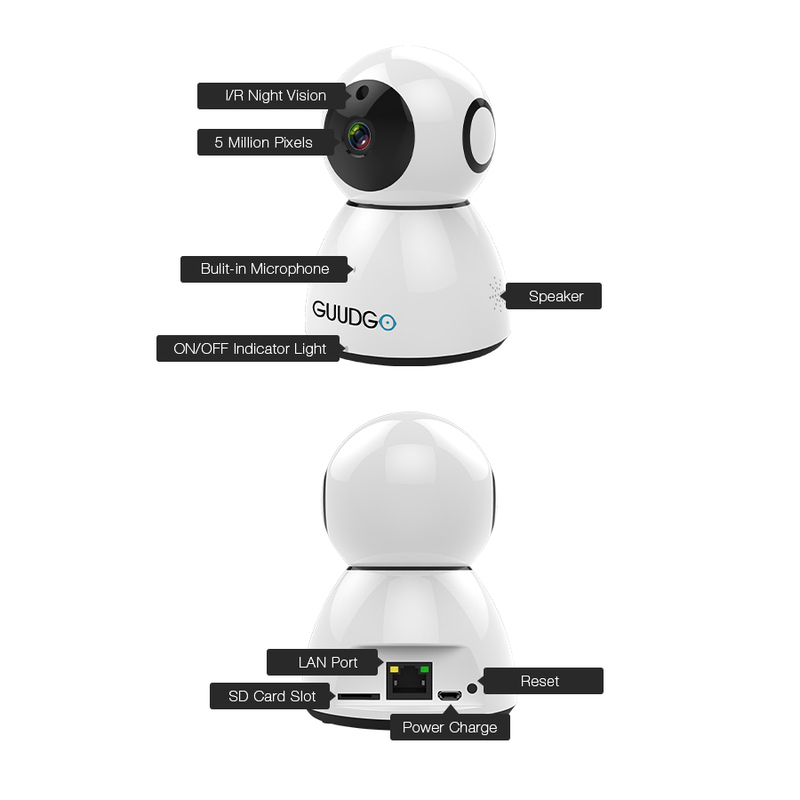 GUUDGO GD-SC03 Snowman Amazon-AWS[Amazon Web Services] Cloud Storage Service 1080P WiFi IP Camera. SUPPORT CLOUD STORAGE & SUPPORT Amazon Website Service: It has 15 Days FREE Cloud Storage, you also could pay for this service after that. Let you Look back on recorded motion-triggered video clips stored in the cloud. Support Amazon Website Service, more safety and Smooth. And it has TF Card Slot, Support Max 64G TF Card. Stay In Touch With Two Way Audio: The built-in microphone and speaker allow voice communicating between the APP and camera sides. You can keep in touch with your baby anytime, whether you want to see his face, hear his voice or let him hear yours. This monitor also have Intelligent Motion Alerts feature, you can receive Message Alerts/Snapshots from App to ensure well being. Night Vision for Day and Night Surveillance: IR Leds, night vision up to 15m. Can control the infrared light (the red and external lights) on and off from App. You may access your camera from anytime and anywhere with our free app or through the web. Network protocols : TCP/IP, UDP, DNS/DDNS, SMTP, UPNP,DHCP,HTTP,etc.